Ironman Staffordshire 70.3? Why Oh Why? In the hazy fog of some point last year I decided to sign up to do my first Half Ironman, the inaugural Ironman Staffordshire 70.3 in Northish England on Sunday 14th June 2015. The exact reasons for doing are lost in the heady ether of last year and, to be honest, still remains unclear. 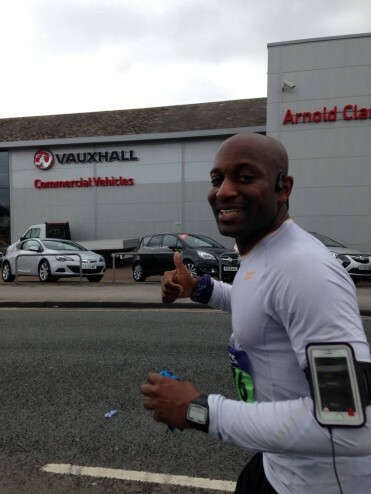 This should be particularly noted given that after completing my first Marathon in Manchester in 2014 I decided that long distance events were not for me! I was bored by the training, where the excitement of getting up to go for a long morning Saturday run soon became a burden. I really enjoy running as a great way to clear my mind and being outside. Quickly, however, the fun of running subsided to be replaced by the Sword of Damocles in the form of having to run 26 and a bit miles on a wet (Manchester remember!) Spring morning. I was living part time in London at the time and apart from the smog pollution causing breathing problems and the tedium training actually went pretty well. Race day came and it was moist underfoot but I appreciated the cool breeze. After a great deal of faffing and 3 visits to the toilet about we were nearly ready to start. 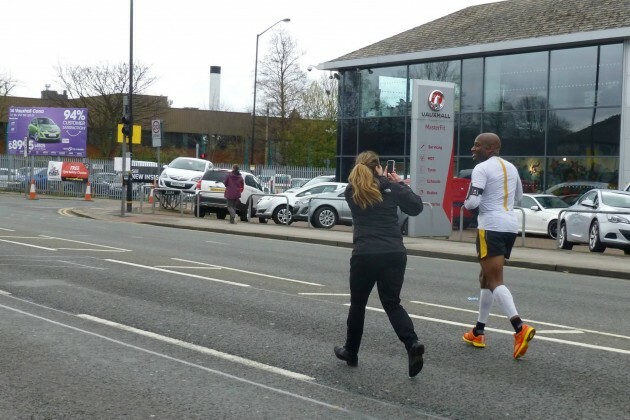 My target time was sub 4 hours, with a stretch goal of 3hrs 45mins so it came as quite a shock when I saw the 3hr30min pacemaker and decided “sod it, i’ll stick with him”. The gun went and we were off. I was pleasantly surprised as the pace was comfortable, it was a marathon and not a sprint after all! Between the start and 10k into the race I flirted with upping my tempo but sensibly decided to get just in front of the pacemaker so in a backwards way it would look like I was pacing him! My running pace continued to slow to the point that most people would have called it walking. It’s not my fault – the streets were filled with porridge or tar or quicksand. That and the fact that it was my clearly my fault that as I had clearly gone off to fast. It some point in the last five miles the 3:45 pacemaker guy went past me. I had nothing in me to even try and hold onto that pace. That’s where I should have started – I did this to myself and that’s what really hurt! To my credit even though my pace was snail like I never actually stopped. People all around me were stopping! They’d run for a few 100 metres, stop and cry a little, and then start again off again. What a horrible spiral they’d descended into! At least I wasn’t suffering like these other people! One such cry-stopper latched onto me for the last two miles. We became friends in the way that you connect with people during distance events. This was in spite of the fact that his staccatoe’d running style was wearing him out and irritating me. Ah – the last mile! A friend of mine who was spectating sauntered up to me to take some up close and personal pictures, the indignity! Rosie Takes a Picture – I’m trying to run. Honest!! I crossed the line at 3hrs 52ish mins and reconfirmed to myself that this had been a silly idea. Given the pain that I went through don’t know what possessed me to sign up for a half ironman! This would be worse? Surely? For those uninitiated of you a Half Ironman is a triathlon where the aim is to swim 1900m, then cycle 90km then run a half marathon all as fast as possible. Yup – this would be worse than the plain old marathon! I decided after signing up to Ironman Staffordshire 70.3 that I would need to change the way I did things to make sure that I at least enjoyed the event. My swimming, cycling and running would all have to change! The next few posts will take you through changes I made from signing up through to race day and beyond. I hope you join me on the journey! I will be taking part in Ironman Staffordshire 70.3 with my good friend Mark and his brother Si, as well as Hampstead Triathlon Club team mates Helena, Richard and Andrew and a colleague of mine Daniel. I also found out that Gordon Ramsay and Jonathan Ross will be taking part in the event so it should be a fun day. Rossy and Ramsay will be rocking out at Ironman Staffordshire 70.3. They’re smiling now! 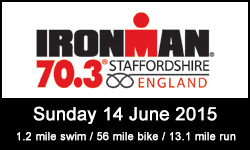 If you are taking part in Ironman Staffordshire 70.3 please leave a comment below.